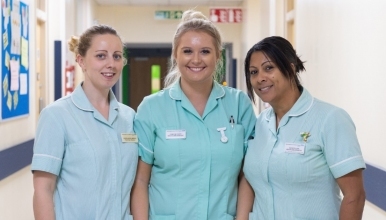 We are seeking to appoint enthusiastic Health Care Assistants to work within our busy Ophthalmology Outpatients Department. In the first instance you will based at Wrekin Community Clinic which is an out reach clinic based in Telford. However, we are relocating to a new cataract suite March /April 2019 at the Copthorne Building at The Royal Shrewsbury Hospital. The successful candidate will work in our Cataract Theatre as well as assisting to provide pre and post operative care to patients in the outpatient areas. This may also include Ophthalmology outpatients based at The Princess Royal Hospital and The Royal Shrewsbury Hospital. Previous experience in Ophthalmology or theatre is desired but not essential as full training will be given to the successful candidates.